Do you love hockey as much as we do? Hockey is the official national winter sport of Canada. 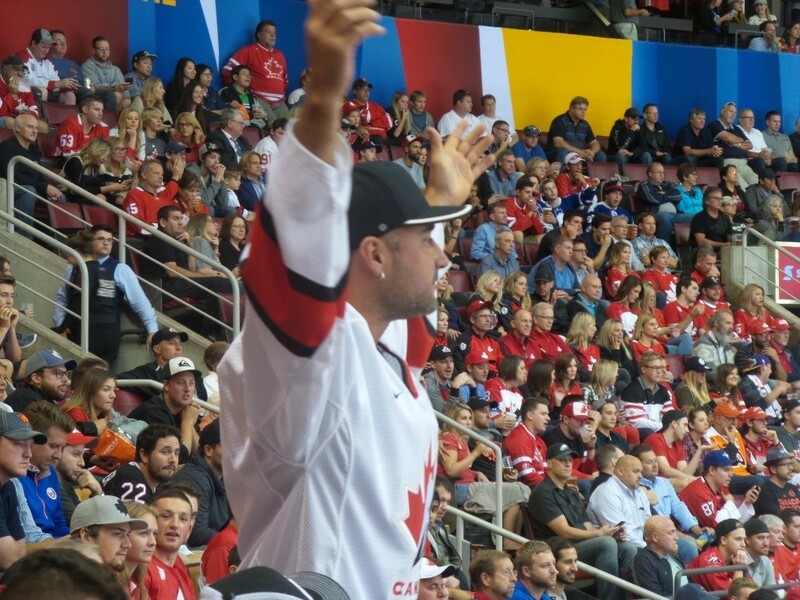 How exciting for those living in Toronto of close to Toronto to be able to attend the NHL World Cup of Hockey Series.We attended the Team Canada versus Team Europe Game on Wednesday, September 21, 2016. It was so great to watch. 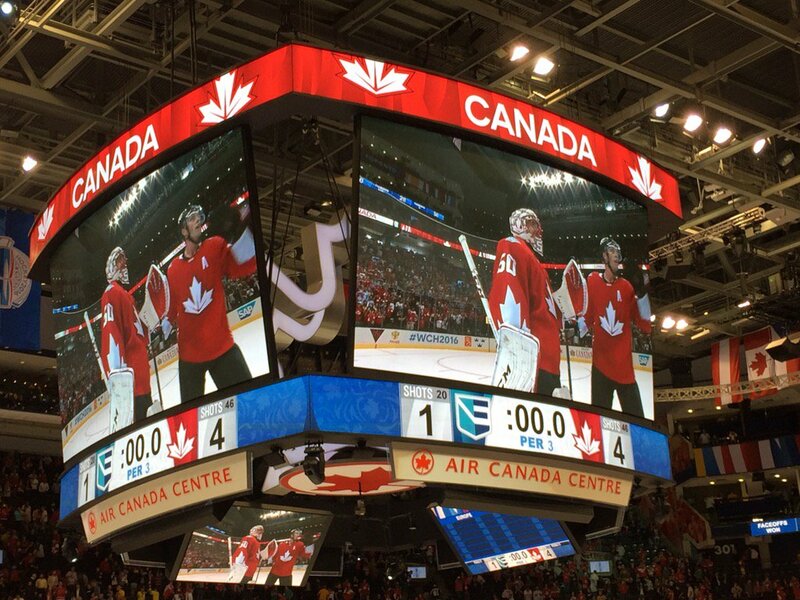 We were thrilled that Team Canada beat Team Europe 4-1. A big Thank you to Sonnet Insurance for the tickets. The 2016 World Cup of Hockey will feature eight teams competing for a best-on-best international hockey championship: The eight teams participating in the 2016 World Cup of Hockey are Team Canada, Team Czech Republic, Team Finland, Team Russia, Team Sweden, Team USA, Team Europe and Team North America. It is expected that more than 150 of the best players in the NHL will participate in this tournament. The tournament is a joint effort of the National Hockey League Players’ Association (NHLPA) and National Hockey League (NHL®), in cooperation with the International Ice Hockey Federation (IIHF). The eight teams will be divided into two Groups of four, and each will compete in three tournament games within their assigned Group in a round-robin format. The top two finishers in Group A and Group B will advance to a single-game Semifinal, where the first-place team from each Group will face an elimination game against the second-place team from the other Group. Winners of the Semifinal games will advance to a best-of-three Final series. We have two tickets (not transportation) to give away to 2 lucky readers who RT the tweet below. 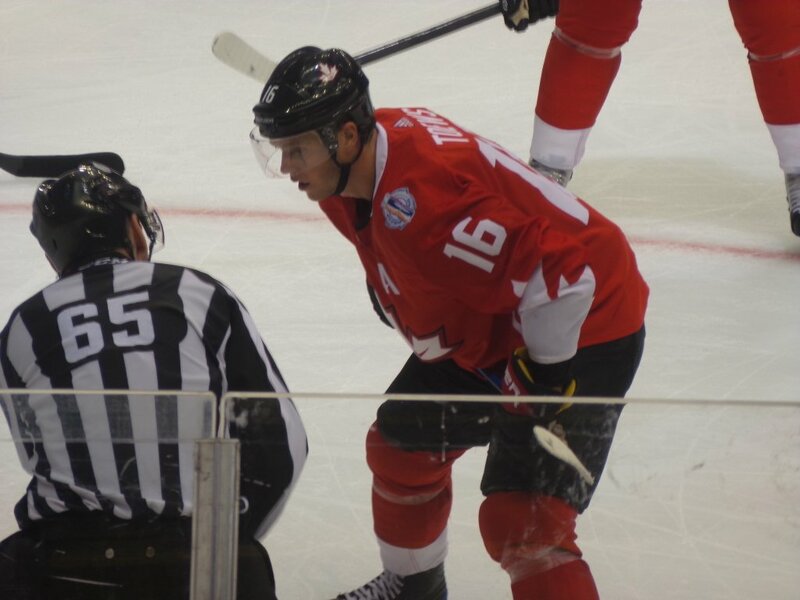 Team Europe plays Team Sweden in the semi-final at the Air Canada Centre in Toronto. These tickets were generously provided by Sonnet Insurance. We will be selecting the winner Saturday September 24, 2016 at 12:00pm ET.